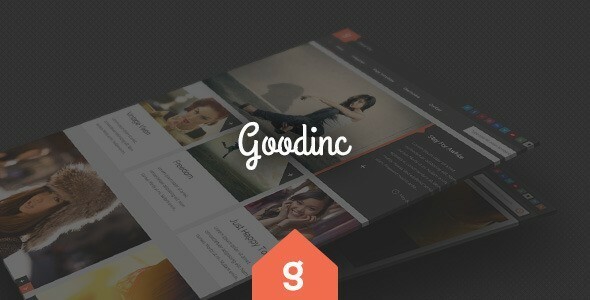 Billed as a continuing web design trend for 2015, flat themes are popular with both developers and users for a number of reasons. A trend that’s seen a bit of a revival over the last few years, flat design has the benefit of being a simple, clean way to lay out a website and makes the product or service the point of focus, not a flashy design. That’s not to say flat design is boring as that certainly isn’t the case, it just means that a lot of the visual bells and whistles you see in other designs are removed, leaving a subtle aesthetic that doesn’t detract from the website’s content. 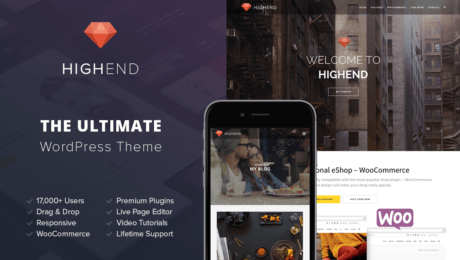 We’ve rounded up ten of our favourite flat themes to share with you today, to give you some inspiration if you’re thinking of redesigning your site to fit in with this trend. 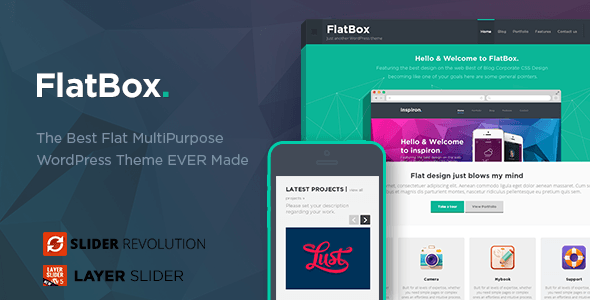 A flat theme that’s pitched towards creative agencies, FlatBox features strong lines, strong colours and a whole host of great features. The easy to navigate admin panel makes this theme simple to set up and customise, and the detailed instructional documentation and well-written code make this a great theme to showcase your organisation. 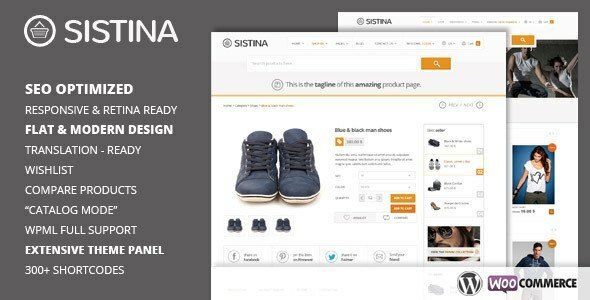 A modern, clean WooCommerce theme, Sistina comes from a development team that have a strong track record of creating popular, well-designed themes – like Bazar and Maya. Sistina comes with premium features that have a retail value of $220, making its $63 price tag even sweeter. A wishlist feature is included, as well as a product enquiry form and an ajax layered filter, making this a great theme for those looking to produce a catalogue or price comparison site. 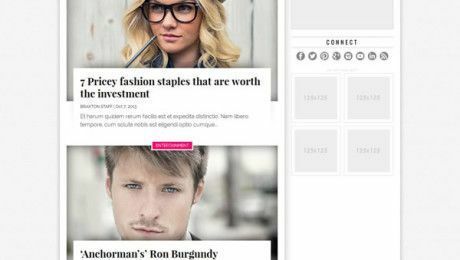 Billed as being the ideal choice for any organisation from a large corporation to a small personal blog, Glider is a multi-functional flat theme that boasts a stylish, uncluttered design. 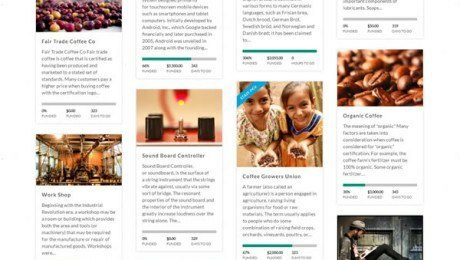 The choice of seven different layouts means you can experiment and find your favourite, and there’s also the option to come up with your own personal layout with the help of the theme’s integrated admin panel. 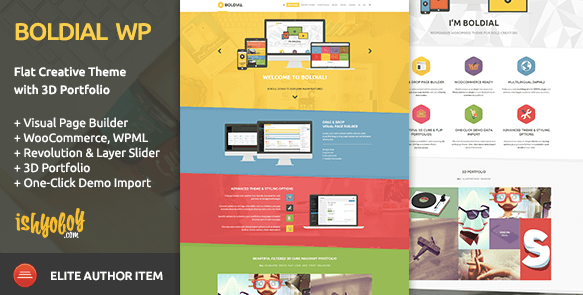 A fun theme that uses bright colours to engage the audience, Boldial WP is fully responsive and features a revolution and layer slider for a modern look. Three different blog styles are included (classic, full-width and a masonry layout) and the drag and drop visual page builder means you can have your site up and running in no time. 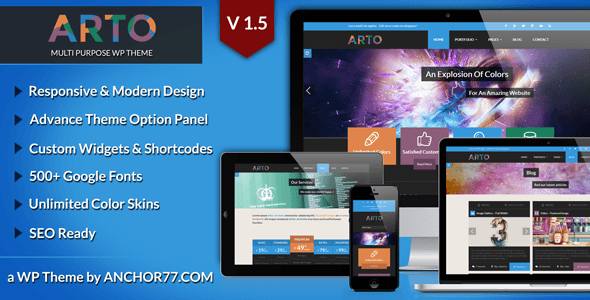 Arto features a flat and responsive design that features clean lines and a simple, eye-catching layout. 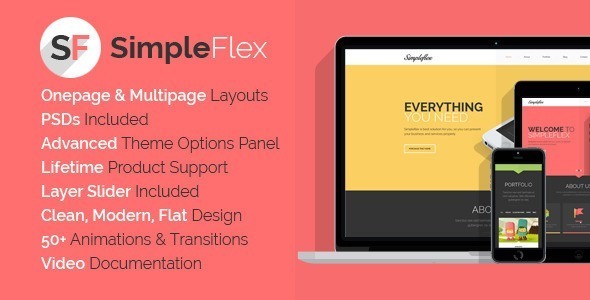 The advance theme option panel allows you to create a site that puts your own personal spin on things and the developers state that this theme is suitable for a portfolio, business or landing website – they just urge you to be creative with whichever type of site you decide on. 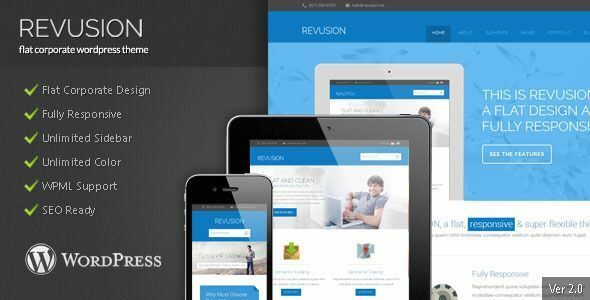 A flexible design that allows you to create a site tailored to your personal needs, Revusion is a responsive theme that features numerous different layouts – so you can retain control and choose exactly how you want your site to appear. The team behind Revusion have focused on creating high quality code that does what it says on the tin and provides you with a robust, attractive site that lets your content do the talking. 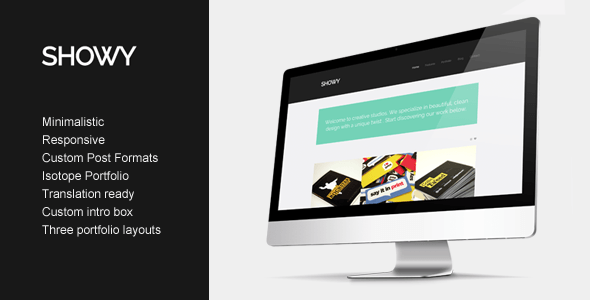 Bloq is a theme that was designed to play to WordPress’ many strengths, including post formats, page templates and shortcodes. 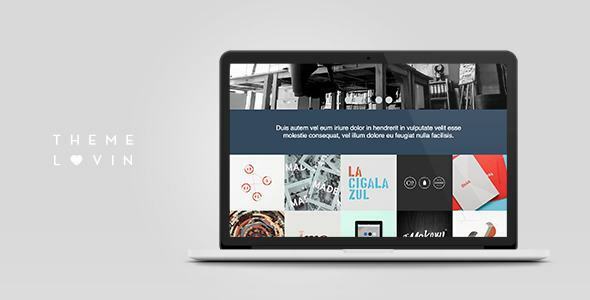 An animated search bar can be included, as well as responsive items with personalised hover formats, making this theme a little more visual that most of the other flat themes on the list.